Like I could resist this one. 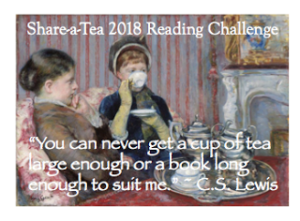 This is a pretty laid-back “challenge”, as it’s all about slowing down and enjoying a book along with a cup of tea. And discussing said books and tea with like-minded folks. 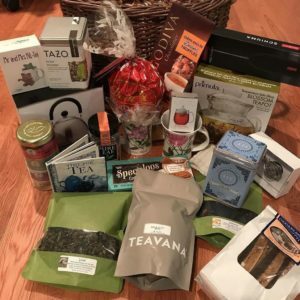 You may have noticed that I like tea. A lot. So, hi! I’m Beth, a Librarian at a busy branch library in the San Fernando Valley. I’m a transplant from Chicago, but I’ve been here 15 years. I’ve been told that my accent has even changed. (Of course, I can’t hear it!) I’m obsessed with Sherlock Holmes and Dr. John Watson, knitting/crochet/spinning, and tea. I’ll admit I was a tiny bit disappointed that that was not actually one giant Lindor truffle.